Sunday, January 22nd at 7:30 PM: La Jolla, CA screening at Congregation Adat Yeshurun, 8625 La Jolla Scenic Dr. N. RSVP to eilite@adatyeshurun.org. $5 suggested donation. Saturday night, February 11th at 8 PM: Passaic, NJ screening at Tifereth Israel synagogue, 180 Passaic Ave. Dr. Arnold Lustiger, editor of Derashot HaRav, Before Hashem You Shall Be Purified, and the Rav's Machzorim, will speak and show some additional footage of the Rav. The screening is co-sponsored by Congregation Adas Israel, Young Israel of Passaic-Clifton, and therav.net. $5 per person, $10 per family. For more info, contact info@therav.net. 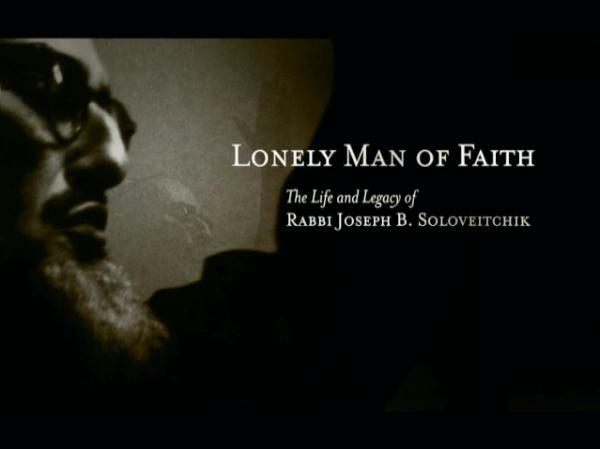 April 1: CHICAGO PREMIERE with the Chicago Rabbincal Council and Ida Crown Jewish Academy at Congregation K.I.N.S. May 11: BERGEN COUNTY PREMIERE at Congregation Keter Torah in Teaneck, NJ. Co-sponsored by ten area synagogues. August 24: MIAMI PREMIERE at the Byron Carlyle Theater, sponsored by the Lehrman Community Day School. August 25: Encore Screening at Young Israel of Greater Miami. Congregation Beth Tefillah, Paramus, NJ. Young Israel of Kew Gardens Hills, NY. October 6: Screening in Netanya, Israel at the New Synagogue on MacDonald Street. October 15 (third night of Sukkot): Jerusalem Cinematheque. October 19: Cinematheque in Rosh Pina, Israel. BROOKLYN PREMIERE at Congregation Talmud Torah. EDISON/HIGHLAND PARK, NJ PREMIERE, at Congregation Ohr Torah. The screening was presented by the Orthodox Forum of Edison / Highland Park, in cooperation with Congregation Ahavas Achim. November 22: FIVE TOWNS PREMIERE at Young Israel of Woodmere. Screening co-sponsored by Congregation Bais Tefilah, Congregation Beth Sholom, Ohr Torah, and Young Israel of North Woodmere. November 23: SEATTLE PREMIERE, at the Museum of History and Industry. Presented by Seattle Hebrew Academy. December 9: UNITED KINGDOM PREMIERE at the St. Johns Wood United Synagogue. December 18: GREAT NECK, NY PREMIERE at Great Neck Synagogue. Screening co-sponsored by Young Israel of Great Neck. December 20: Kemp Mill Synagogue in Silver Spring, MD. December 23: Ohab Zedek of Belle Harbor, NY. January 3, 2009: Lower East Side screening in conjunction with the Young Israel of Manhattan. January 6: JCC in Manhattan screening. January 8: Albert Einstein College of Medicine, NY. January 10: RIVERDALE PREMIERE at the Riverdale Jewish Center. January 11: Brotherhood Synagogue in Manhattan. January 14: DETROIT PREMIERE at the Lenore Marwil Detroit Jewish Film Festival screening series. January 17: Return engagement at the Maimonides School, Brookline, MA. January 24: Special preview at University of Pennsylvania Hillel. January 25: PHILADELPHIA PREMIERE at the Lower Merion Synagogue, Bala-Cynwyd, PA.
January 28: Columbia University, NY. Organized by the Center for the Study of Science and Religion. January 31: LAS VEGAS PREMIERE at the Las Vegas Jewish Film Festival. Screening sponsored by Congregation Shaarei Tefillah. February 7: Young Israel of White Plains, NY. Co-sponsored by the Hebrew Institute of White Plains. February 21: Synagogue Bet Eliezer, Rechovot, Israel. March 23: Matnas Bet Foster, Herzeliah, Israel. March 29: Skirball Center for Adult Jewish Learning in Manhattan. April 5: Boston University. Presented by the Jewish Learning Initiative, B.U. Beit Midrash Society, and The Vilna Shul. May 19: Edmond J. Safra Synagogue in Manhattan. May 24: Queens Jewish Center in Forest Hills. Co-sponsored by Young Israel of Forest Hills. June 14: SAN DIEGO PREMIERE at Beth Jacob Congregation. July 26: Congregation Shaaray Tefila of Lawrence, NY. September 12: Young Israel of Toco Hills, Atlanta, GA.
September 13: Congregation Emek Berachah, Palo Alto, CA. Co-sponsored by South Peninsula Hebrew Day School. October 31: Young Israel of Merrick, NY. Co-sponsored by Young Israel of North Bellmore. November 14: ST. LOUIS PREMIERE at the Steinberg Auditorium of the Sam Fox School of Design and Visual Arts, Washington University. Sponsored by Bais Abraham Congregation, Nusach Hari B'nai Zion Congregation, St. Louis Hillel at Washington University, the St. Louis Rabbinical Council, and Young Israel of St. Louis. December 26: Young Israel of Staten Island. MINNEAPOLIS PREMIERE presented by the Minneapolis Jewish Film Festival and Congregation Darchei Noam. Ner Yisrael Community, London, U.K.
March 14: Congregation Beit Tikvah, Ottawa, Canada. Co-sponsored by the College of Jewish Studies. April 16: Encore screening at the Minneapolis Jewish Film Festival. April 25: Kashenberg Ostrow Hayward Library lecture series in Sacramento, CA. April 27: L.A. Community Screening at B'nai David-Judea. Co-sponsored by YULA High School. July 12: International Association of Jewish Genealogical Societies (IAJGS) Conference, Los Angeles. July 22: Bnai Jacob Shaarei Zion Congregation in Baltimore, MD. April 3: AUSTRALIAN PREMIERE, at the Chauvel Cinema in Paddington, NSW (near Sydney). August 14: Congregation Shomrei Emunah, Baltimore, MD. Co-sponsored by the Baltimore Council of Orthodox Jewish Congregations and Suburban Orthodox Congregation Toras Chaim. September 24: Beth Avraham Yosef of Toronto Congregation, Thornhill, Canada. December 10: DENVER PREMIERE at East Denver Orthodox Synagogue. add your email address to our list, so you can be updated.